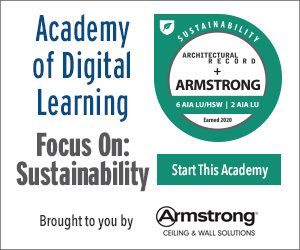 Discuss the characteristics of manufactured stone veneer in terms of green building goals. Compare natural stone veneer, full-profile stone, and manufactured stone veneer in terms of aesthetics, cost, environmental soundness, and durability. 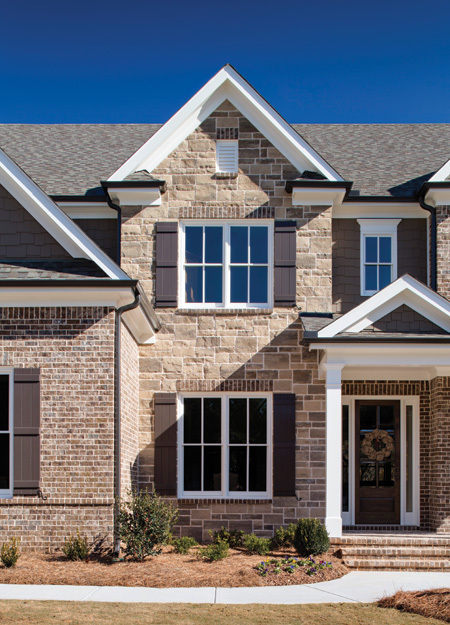 Describe the recent advances in manufactured stone veneer and how the product has advanced in terms of aesthetics, adherence, energy efficiency, and moisture control. Explain the various types of installation systems and how they reflect advances in design to achieve consistency with the building code and sustainability goals. Manufactured masonry thin veneer has hit its stride. Popularity in the product has grown dramatically over the past decade and recent years have seen further innovation that seeks to refine its visual appeal and other benefits. While full-depth veneer options have expanded, the market has also seen an increase in lightweight or thin veneers used both in commercial and residential construction, with today's products engineered to look better, adhere better, and weather better than their traditional counterparts. This article will explore manufactured masonry thin veneers with respect to their aesthetic appeal, durability, and economical advantages. Also discussed will be options in installation systems that have been designed to facilitate energy efficiency and moisture control. Manufactured Masonry Thin Veneer—What is it? Thin veneers are any lightweight, flat-backed, thin surface product that is applied directly to a solid facing. Thin veneers average in thickness from 1 to 2 inches and per International Code Council regulations must weigh 15 pounds or less per square foot. Manufactured masonry thin veneer is typically fabricated by pouring a lightweight concrete mix into rubber forms. The trend started with emulating the look of natural stone but has gone beyond that—thin veneers can be manufactured in a wide range of looks and options. Glazing the face can change the appearance of the veneer unit to resemble other materials such as tile, for example, and pictorial elements can even be added for visual effect. In the recent past, advances in the molds themselves as well as in finishing techniques, mortar, and substrates have enabled manufactured masonry thin veneers to offer not only more visual effects and the ability to match an increased number of colors, shapes, and textures, but greater economic and environmental advantages as well as ease of maintenance. Today's products are machine made with quality aggregates and admixtures to make them very dense and water repellent to facilitate moisture control so that they can be used at grade and to withstand over 60 mph wind-driven rain. Additionally, veneers may be manufactured to be mold and mildew resistant. Many thin veneer products are either naturally colored or have integrated pigment for color fastness. After they are produced, some thin veneers are cut to the desired thickness and shaped to the customer's specifications. With a new understanding of the thin veneer products, manufacturers have made some adjustments to their sawing equipment to be able to cut these thin veneer products more precisely. But not all thin veneers are produced by being cut, some are manufactured at the desired depth and are ready to install without cutting. Advances in packaging materials assure safe shipment of these products nationwide while maintaining product integrity and quality. Manufactured masonry veneers have evolved, with today’s versions offering a host of visual styles for interior and exterior applications.